Over the past few years, we have helped hundreds of ClickFunnels entrepreneurs with high risk merchant accounts and payment gateways. If you are not familiar with it, ClickFunnels is an all-in-one e-commerce platform software that allows site owners to sell their products without having to invest in a host of third-party software. This could include marketing, membership software, landing pages, and order forms, which would all need to be tied together. It’s a highly convenient way for high risk site owners to create attractive and fully functional e-commerce sites. With the right merchant account and credit card processing set up, you’re ready to start selling immediately with ClickFunnels. At E-Commerce 4 IM, we specialize in offering merchant accounts and credit card processing to entrepreneurs who use ClickFunnels. Whether you’re thinking about launching your ClickFunnels site or simply need credit card processing for your existing ClickFunnels e-commerce site, we’re here for you. Simply get in touch with us via our website or through our contact form. If you’ve been keeping up on the latest innovations and developments in e-commerce platforms, software, and trends, you’ve no doubt come across ClickFunnels. ClickFunnels has become increasingly popular over the last few years. One of the many reasons is that it’s possible to manage multiple sales funnels with one payment gateway while using ClickFunnels. More and more e-commerce merchants are finding out that it’s a great way to create great, feature rich e-commerce sites. However, in order to evaluate whether ClickFunnels is the way to go for you, there are a few things you should know. You need to know what a sales funnel is, what sales funnel stages are, and what sales funnel websites involve. To understand what ClickFunnels is and why it is so useful, it’s important to understand sales funnels. The concept of sales funnels has become integral to all digital marketing professionals. While there is a huge amount that goes into creating, implementing and activating a fully fledged sales funnel, the concept itself is pretty straightforward. Simply put, the perfect sales funnel would work like a literal funnel you might find in your kitchen. The difference is that a sales funnel focuses on funneling visitors and potential customers through a “buyer’s journey” until they (ideally) make a purchase. A sales funnel works by funneling visitors (prospective buyers) through a buyer’s journey that eventually leads them to make one or multiple (one click upsell) purchases from your business. It takes them through different sales funnel stages, from awareness to interest, to decision, to action (more on that later). In short, a sales funnel is an implemented strategy that attracts visitors to your high risk e-commerce site and converts them to customers. For other tips and tricks for ClickFunnel sales funnels, please check our earlier article “Overlooked Elements When Running A ClickFunnels Sales Funnel”. As a high risk merchant, there are already plenty of obstacles you have to overcome. At E-Commerce 4 IM, we offer high risk merchant accounts and credit card processing, making it easy for you to accept payments online for your products. However, accepting credit card payments is only part of the package (albeit a crucial part) when it comes to selling products online. By using the sales funnel concept, you’ll have a more complete approach to selling online. What are the different stages of a sales funnel? As you can tell, there’s quite a lot that goes into a sales funnel. In the awareness stage, you have marketing, advertising, and setting up your website to show up in search engines. Interest, decision, and action all have separate, yet overlapping elements. Such as creating landing pages and web pages designed to increase the likelihood of people being enticed by what you have to offer – and so on. The first challenge for you is to create and implement these elements. The second challenge is to make all of these aspects work smoothly together. That means a lot of coding, development, and testing. At worst it could potentially take weeks or months to get it all working as it should. This is where ClickFunnels can become a godsend. With our merchant account setups, you’ll be able to process payments on your sales funnel websites in no time. Not to mention, we’re exceptionally familiar with ClickFunnels and will be able to help integrate your payment processing with ease. Have a question? Please contact us here. 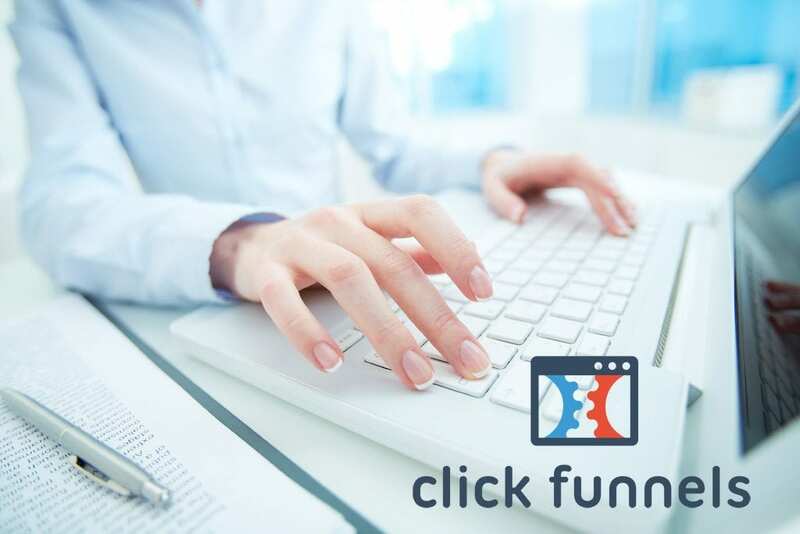 We highly recommend using ClickFunnels, as it offers some of the most complete sales software out there. Are you planning on using ClickFunnels for your sales funnel websites and need a high risk merchant account? Then we’re here to help. Our expertise in high risk payments, as well as ClickFunnels, will ensure that you have a pain-free experience setting up your credit card processing. Contact us today, and we’ll get back to you as soon as possible. We’re here so that you can take full advantage of ClickFunnels, and truly take your sales funnel based site to the next level.